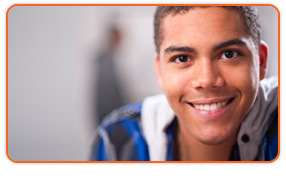 Our Math Tutoring is a leading provider of tutoring and supplemental Education Services to students of all ages and skill levels. We focus on every child individually and their needs by providing with homework support, preparing them for exams and helping them understand math concepts and achieve BETTER GRADES. All of our Math Programs are in accordance with the Quebec Ministry of Education Programs (MELS), so you can be sure what they do with us is exactly what's being covered at school. By our professionalism and research we have put together a unique approach to tutoring, one that would lead your child to a strong basis in math ,build self confidence, aim high and achieve SUCCESS. Since 2001, working closely with Teachers, Guidance Counsellors and Principals from Private and Public schools all over the West-Island, the MEC have helped thousands of students achieve success by providing them with the right tools needed to succeed in homework and exams and a knowledge that lasts a lifetime. Working in a small group environment or one-on-one, under the personal direction of highly qualified instructors, MEC students develop cognitive learning techniques and study skills that help them perform better in daily schoolwork and on tests. Diana Lasry's Math Education Center is a place where every child feels at home and where every child is a success. 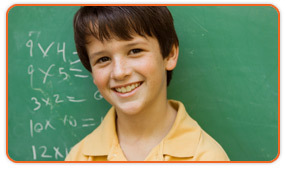 All our tutors are highly qualified, trained and experienced to teach Math at the Elementary and High-School level. Diana Lasry is a well-reputed Math Program Specialist, President and Founder of the Math Education Center. While studying for her Masters degree in Mathematics at UQAM, she was also teachers assistant at the University teaching Algebra, Linear Algebra, Probability and Calculus. Diana has helped thousands of students achieve success by teaching mathematics at all levels from Elementary to University. Bringing her main focus on Elementary and High School,she opened the Math Education Center in the year 2001. After teaching grades 9, 10 and 11 at JRHS, Diana continues to work closely with Principals, Vice-Principals and Guidance counsellors from many of the LBPSB Elementary and High -Schools. In collaboration with the schools, the "In-School" Math Tutorial Programs has helped students achieve success all year-round, in Mid-Term and Final Ministry Exams as well as in various Math Competitions. The MEC also offers services to kids that are home schooled by teaching them the full Math curriculum. Diana Lasry also wrote the Math Formulas section in the agenda for Select Agendas Inc., that was distributed in many schools throughout Canada and the USA. Questions? For further information please contact us. "My biggest achievement is my students success."